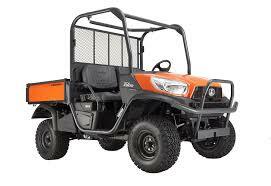 This rugged deck will fit the Kubota F2890 Out front mower. It is ideal for fast mowing even through long grass. The deck is available as a 54 Inch or 60-inch version and features quick coupling and easy maintenance. The fabricated deck is durable and strongly made from pressed sturdy steel providing reliable cutting performances and minimal maintenance. Equipped with two large wheels that swivel independently through 360 degrees, the wheels ensure that the deck remains on the turf, preventing turf damage. Power to the deck comes from a PTO shaft drive which directs the power from the engine to the deck, which enables less maintenance and provides greater dependability. 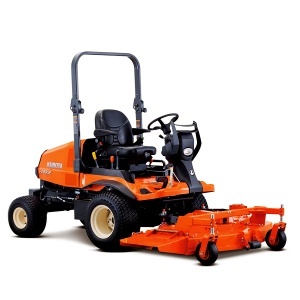 This powerful F Series diesel out front mower from Kubota is capable of delivering excellent levels of power, precision, and efficiency.